"The Transforming Power of Achievement"
Topics can be customized to your target audience and are always grounded in reality with substantial results! 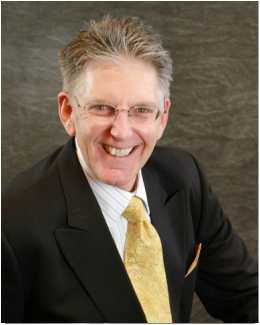 “The Transforming Power of Achievement in Your Business"
Based on Keith’s book, this session will demonstrate how the power of belief, power of focus, and the power of consistency can propel professionals to a new level. Time management and self management will also be addressed. Planning, purpose, performance, persistence and power of a positive attitude will be discussed and attendees will walk away with a map towards higher achievement. This lively session will empower you to exceed your business goals. A session designed to unleash the creative energy inside you. Learn how to equip yourself with the necessary tools to renovate, regenerate and rejuvenate your creativity! This fun, information filled session will expand your business horizons with ways to use your imagination to put pizazz into your promotions. "The Power of Passion In Your Business"
Learn the keys to using the power of passion to increase your sales goals. Passion creates interest in your products/service. Passion causes people to take action and passion closes sales. When you are passionate about your product, the customer can feel your enthusiasm. Learn how to send your customer away feeling "Wow that was the best customer experience I've ever had!” In this dynamic session you will be shown techniques that will empower you to use passion to energize yourself and your prospects. "Changing Your Woes To Wows of Opportunity"
Take the power of adversity to grow your business in tough times. Learn how to take the negative news environment and turn it into positive energy that will move your business forward. This spontaneously positive session will help you go from spectator to participant in the race for the goal... more sales! A Powell Signature Session... "Coffee with Keith"
After my presentation, I will sit with select participants and have a "cup of joe" and talk about individual issues. Using a small board room atmosphere creates synergy among a small group and helps facilitate creative solutions to help participants be spurred on to greater achievement.